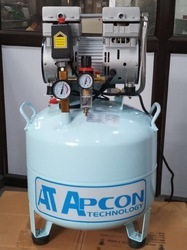 Our range of products include belt driven lubricated air compressor, co axial oil free air compressors, belt driven oil free air compressor, piston air compressors, dental air compressor and high pressure air compressor. 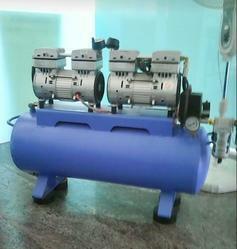 We offer Belt Driven Lubricated Air Compressor with automatic tensioning to ensure optimum power transmission. Suitable for general purpose workshop applications. 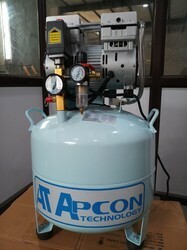 Fitted with fully automatic pressure cut-out switch and air regulator with gauge. 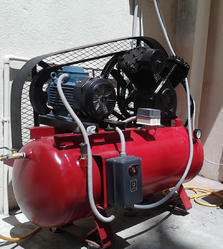 Our compressors are designed and manufactured using high-grade material as per their needs and demands. Our range is widely appreciated by the clients for reliability, quality, easy installation, heavy duty operation, low noise generation and longer functional life. We make sure to meet their needs in the best possible manner. 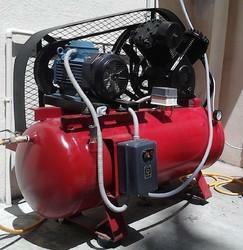 To meet the diverse requirements of clients we are involved in offering Co Axial Oil Free Air Compressors. 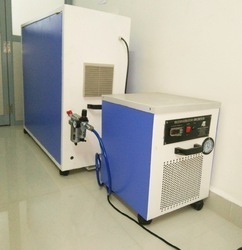 These air compressors are precisely developed by our highly capable professionals utilizing top quality basic material and advance technology. 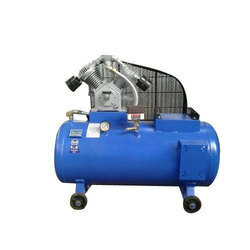 The offered air compressors are available in various stipulations according to the requirements of customers. Along with that, these air compressors are examined on numerous quality provisions to assure its durability and flawless finish.